COLUMBIA, Mo 8/29/13 (Remembering) -- Longtime Columbia resident Lee Henson sent me two kinds of messages over the years: off-the-record opinion and observation I was sworn by the wrath of the journalism gods never to print; and informational tidbits he wanted me to share, attached to his name or not. I read then deleted the confidential stuff, and stored away the tidbits, waiting for that perfect moment when they might apply to some breaking news. Last night's first meeting of the Mayor's Task Force on Community Violence presented such an opportunity, for the last suggestion Lee Henson sent. "Mike, I am pretty sure I’ve forwarded this to you before as a possible source for your newsletter, but was especially struck by the article about economic integration in neighborhoods as the best way to fight crime," Lee emailed. "Economic integration has been one of your themes." Included was a link to an Atlantic Cities story that could have been on last night's agenda. To a person, task force members agreed it was important to learn how other cities are dealing with the scourge of violent crime, using hard data, critical thinking, and local compassion. Lee suggested I forward this story's findings, conclusions, and ideas to the community when the time was right. "The Atlantic Cities explores the most innovative ideas and pressing issues facing today’s global cities and neighborhoods. By bringing together news, analysis, data, and trends, the site is an engaging destination for an increasingly urbanized world." Entitled "How Economic Segregation Spreads Crime Like a Virus," the story Lee forwarded examines crime as it relates to "place," or physical location: neighborhoods, boroughs, even streets and corners. I've written about how crime is "race-neutral," meaning it isn't related to skin color, ethnic origin, or country of birth. That's why Lee sent me the article; it was a discussion we had, mostly by email, several times. Crime is about place, we agreed, not race. The Mayor's task force is seeking ideas from innovative, experienced thinkers, another reason Lee's suggestion seems a perfect fit now. The author of the story he forwarded -- John Roman -- is "a senior fellow in the Justice Policy Center at the Urban Institute, where he focuses on evaluations of innovative crime-control policies and justice programs." Roman mentions the work of Richard Florida, one of the nation's leading thinkers on the way social dynamics and economic development can and should influence city policy. The story includes many other relevant links, to articles by Roman like Why It's So Hard to Contextualize Gun Deaths; and a piece by Florida entitled, How Economic Development is Changing the Geography of Urban Crime. "In my last blog post, I wrote about how much we may be able to learn about effective crime prevention by comparing experiences across cities," Roman's story begins. "The following week, I had a fascinating exchange with Richard Florida about which elements of city life are most important in preventing crime." They decided "place" was critical. "Over the past few decades, criminologists have become convinced that places can make people more crime-prone than they otherwise would be," Roman explains. "Fix the place, and the people will be safer." Roman then asks a question the Mayor's crime task force might ask: "What is the most important element of a place with respect to crime and public safety?" "Certain features—poverty, density, isolation—put some places at greater risk of more crime and violence," he explains. Those features, the reader will note, do not include race, which only appears to play a role. Saddle any ethnic group with poverty, density, and isolation -- all features of place, not race -- and you'll have crime and violence. So what causes the isolation that breeds crime? Economics, Roman answers -- in particular if a place is economically integrated, or segregated. "Economic segregation leads to the worst crime outcomes," Roman explains. Roman likens crime to a virus that spreads most rapidly among the most vulnerable -- people living in economic segregation. In Columbia, as in many other cities, much of the black community is economically segregated. By Roman's analysis, black residents in CoMo would be expected to experience a higher incidence of crime and violence than more integrated ethnic groups. Roman puts his solution in sound-bite terms -- "the rich and poor should live closer together," thereby building up a sort of community immunity to spreading crime. But he includes an analysis that's anything but simplistic. Segregation and isolation, he explains, are oddly enough, both a cause and a misbegotten solution to crime. City planners keep the poor segregated in part to reduce crime in wealthier neighborhoods. But that plan only creates more crime. It's the kind of reasoning that was classic Lee Henson. "We cannot arrest our way out of crime problems," Roman states. "We also cannot economically segregate and isolate our way out either. That approach is self-destructive and has led to many of the problems our cities face today. Figuring out how to fix those mistakes is at the core of creating prosperous places." Lee Henson -- who died last week -- never let me share his thoughts and observations on matters such as these, which were eye-opening, detailed, and sometimes chilling. Suffice it to say, we were of one mind mainly, though Lee -- an eternal optimist -- thought the road ahead more promising than I do. A Chicago native and civil rights attorney, Lee was paralyzed years ago in a cycling accident. He moved to Columbia from Kansas City, if I recall. I met him shortly after my wife and I relocated to Columbia from the Seattle area. 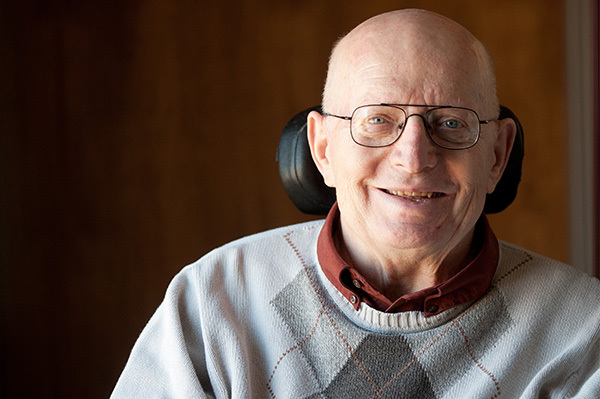 Lee was a powerfully intellectual advocate, for everyone in need, but especially for people with disabilities. Most of all though, Mr. Henson was a gentle soul. "I think you can subscribe to Atlantic Cities without being an Atlantic Monthly subscriber," he wrote me about the John Roman piece. "If you’re interested in getting this regularly, and don’t subscribe or want to, I can forward you these items." Agree or disagree with the story's conclusions, I'm honored to share Lee Henson's suggested reading with you now.